When things start to go wrong between business partners, often one of them will want to leave the partnership…or one of them will try to force the other one out. Can either scenario work? I can’t tell you how many clients come to me with partner problems. It could be about too little money, too much money, non-involvement that leaves the working partner exhausted, differences in direction, differences in how much extra money to put in or take out, and sometimes it’s just about falling out of that special feeling you had at the start. Most times, a partner won’t want to leave if the company is making at least some money, and debt is not mounting. But I had a client once whose operating agreement allowed the other partner to set their own salary. So the partner took all the profits legally and the company never paid distributions to my client. Complicating things for my client was the fact that both partners had taken on personal liability for some of the company’s debt. Obviously my client wanted out, but the negotiations for allowing my client to leave became extensive. Simply said, my client had signed a BAD partnership agreement. In several other cases, my clients were the ones who wanted to get their other partner out for various different reasons that did not relate to wrongful conduct. 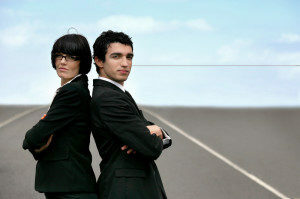 Virginia law says you can expel a partner in a limited liability company if the operating agreement says you can, or if the other partners all agree, but even in that case the partner you want to remove must have transferred their interest in the company, or that partner’s continued involvement in the company would not allow you to operate the business legally. Those are high bars to set. Bottom line: If you don’t have some provision for a partner’s exit or expulsion in your operating agreement (or the articles that were filed with the state, which almost never occurs), YOU ARE PARTNERS FOR LIFE. Of course, you can always amend your operating agreement (or write your first one) when one partner wants to leave. But that could be a very bad time to be negotiating that critical detail of your relationship. And you can forget about trying to expel a partner if you haven’t already thought through the process for doing that BEFORE you became partners. Argent Place Law provides Legal Business Counsel to Entrepreneurs throughout the life of their company.